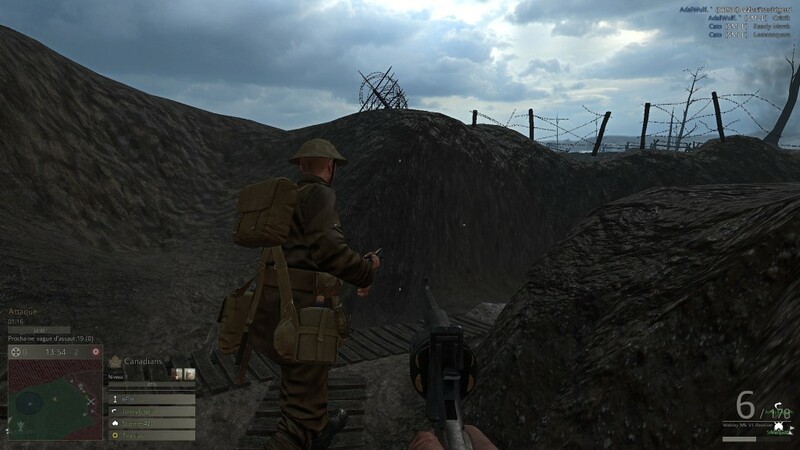 This article is part 1 of a two-part interview with the creators of the World War 1 themed first-person shooter multiplayer game, Verdun. To read part 2, please click on this link. World War 1 was one of the bloodiest conflicts of history, a conflict that lasted between 1914 and 1918, and whose effects and ramifications forever changed the world, and the lives of countless broken men, and shattered families. Fast forward a hundred years. 2014 saw all manner of official special events, commemorating the centenary of the Great War. Thanks to decades of historical research and the widespread dissemination of cultural production – books, movies, plays, even comics – about the war, it seems that the general public is finally beginning to get a deeper sense of this ground-shifting moment of modern times. Yet, for those who have delved into World War 1, there remains a strange paradox: no amount of historical knowledge, nor the passing of time, seems to take away the utter senselessness of the conflict. Like the black monolith in Stanley Kubrick’s 2001: A Space Odyssey, the Great War draws us into its negative space, forever hungry for meaning. The world order may have been irrevocably transformed by the Great War, but what did all this death and destruction mean, in the end? Nothing reminds us more of this paradox than the everyday experience of the infantry soldier, in the trenches of the Western Front. Caught in a death-pincer of entrenched enemy presence, advances in military technology, the iron grip of military command and 19th century war tactics, the regular infantry soldier simply survived the war – if he did survive at all. And so the trenches have remained a powerful symbol of the fate of ordinary soldiers – that miles-long grave they all dug together, to fight, live and die in. If the Great War cast a premonitory shadow over the century of tumult and violence that followed, its memory has unfortunately suffered neglect. With the passage of time and the passing away of WW1 veterans, new generations no longer in touch with the living memory of the Great War have turned to more spectacular conflicts of the 20th century in order to make meaning from violence. The question remains: beyond issues of patriotism and commemoration, why should we care about World War 1, and those who fought in it? As it turns out, there have been some who have kept the flame alive, and have sought to bring the experience of the Great War to a new generation. Our focus at Play the Past is on the treatment of historical narrative and experience in the medium of games (video or table-top). 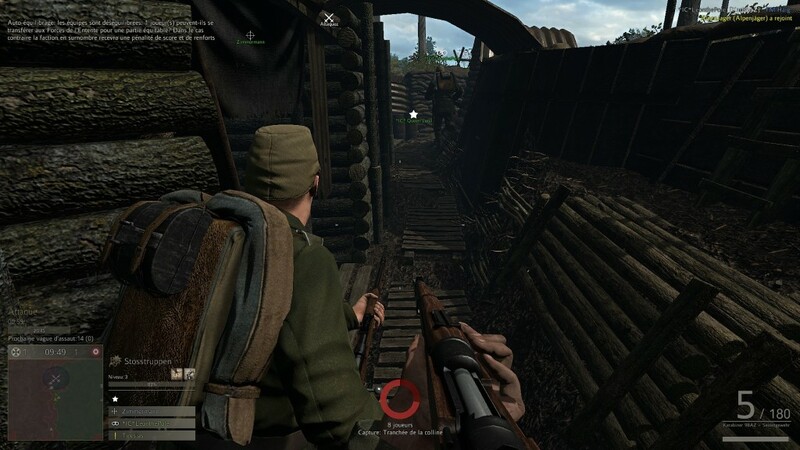 And so, upon learning that a small band of video game developers in the Netherlands had embarked on a mission to recreate World War 1 trench fighting experience from the regular infantryman’s point of view, we were intrigued. This project is, it turns out, appropriately called Verdun – after the namesake and iconic battle of World War 1. On May 28th, 2015, I had a chat via Skype with one of the project’s co-founders Jos Hoebe about their newly-released game. After an hour of discussion, Jos and I had barely scratched the surface of this complicated topic, and it turns out that many crucial aspects of the game and the history behind it had not been touched upon. In the transcribed interview that follows, it is my hope that readers will get the essentials of the Verdun project – its originality, importance, and the unique challenges such a project imposed on the development team, and the game’s audience. Play the Past (PtP): World War 1, video game. Two terms not usually associated in the same sentence. 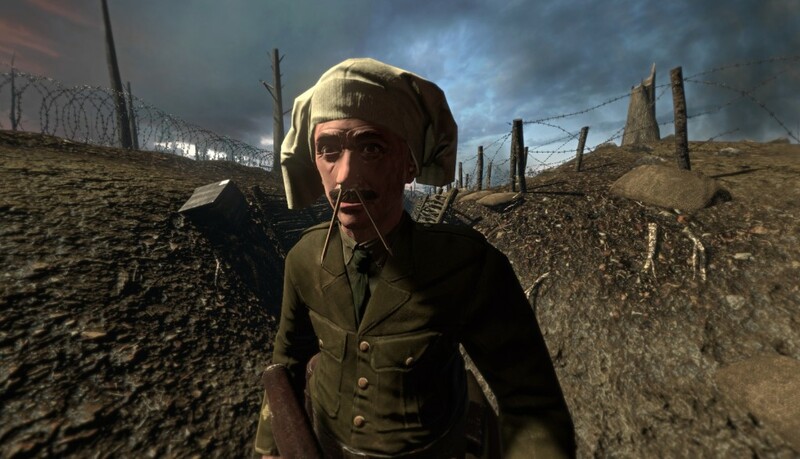 Can you explain how the idea for a first person shooter video game set in the trenches during the Great War came to be? Jos: Actually, World War 1 has been a passion of me personally since I was little. We are from Holland, a five hour drive from Verdun. So I went there as a kid with some friends, and they were doing some amateur archaeology, battlefield archaeology. So they went in the forest, and looked at the sites of the war. And I witnessed it, bones sticking out of the ground, grenades still there… it made a very big impression on me. PtP: to motivate you, do you mean? Jos: Yeah. All the studios were mainly driven by a commercial agenda. [You] just take the biggest subject, like World War 2, with a clear narrative of Good versus Evil, which doesn’t exist in World War 1. There are reasons why there have not been World War 1 games made, especially from a first person perspective, which at bottom is the lack of Good versus Evil narrative, which is better for selling games to a broader audience, etc. So that’s where we’re coming from. Jos: On the other hand, there is also the case that we didn’t have any competition. We were the only ones to do this. If we were to make a World War 2 game, we wouldn’t get the exposure we have with this title. So it’s a double-edges sword: one the one hand it’s never been done before, and commercially, it’s niche, so it’s not all bad compared to other titles. PtP: Before your launch trailer, you had another video up on your Youtube channel, a compilation of development milestones, from 2006 to 2015. In it we see some of the original game assets, trench maps, and game builds, over the course of a decade. Was the original Verdun project a school project, how did it get started? Jos: It sort of evolved over time. We were always the same core team, me and the brothers (Matt and Mike Hergaarden) from M2H studio. We started out basically at the beginning of college for me, and one of the brothers went to the same program, computer science in Amsterdam. We had a passion for making games. Mike, one of the brothers, already made a web game, and I came from the modding scene. So we merged our abilities into one project. PtP: How important was Early Access to getting Verdun to its audience, and to get the project to completion? Was that a key moment in the development of the game? Jos: Yes, definitely. We were a small team, and still are a small team: three people and then some freelancers coming in. With three people, you don’t have a studio, with dedicated testers. The players in the Early Access are our testers, basically. We started this process before we even went to Early Access, we had a web version out, a browser-based version. The Unity engine allows for this, you just export with a couple of clicks, and you need to make everything less heavy. But then you can play it in a browser, and so we had this bulk testing. This continued into the Steam Early Access version, which allows to attract more people. PtP: How was the reaction from players early on? With your browser-based version of the game before Steam Early Access, what kind of people showed up to try out Verdun? PtP: So you must have been like a UFO type of phenomenon. You came from nowhere, took a topic that was not treated before, and people were delighted to find that topic in a game. PtP: When did you decide to call the game “Verdun”? Jos: That came even before I made the game logo, even before we started on the project. It really came for me to make a game about Verdun. The summer before we started, I visited the area. The idea really came from there for me, and I think for many French and German people, Verdun is really the symbol of the War in general. It’s like calling a game “Stalingrad”, there’s that gravitas [to the audience]. PtP: the name is iconic, it will be instantly recognized by the core audience. Jos: Yes. Also, our initial focus was to make it French and German only [in the choice of factions]. That’s something that drove us in our process, keeping the scope of the project really small. We started out as a really simple game, deathmatch-style gameplay, just two factions, a couple of maps, that’s it. And polish that, and build on that. And we build the entire game – that it is today – on that framework. PtP: So you made the design decision to make the game small in scope, with a recognizable event as the “main attractor”, so to speak, with French and German factions only. The Western front seems to be the natural theatre of war to set the game in, I assume, in terms of the historical content. Was the Western front in your mind from the start? Jos: Yes, obviously Verdun being on the Western front, we built it from there. It sort of evolved. We didn’t intend to go beyond Verdun, but certain practical components… for instance, our level designer made a level that was sort of, wooded, and that wasn’t really Verdun. So we had to create sort of a map around this, and I had to step in, and make it historically correct, to maintain a certain historical correctness which we strive for from day one. Then evolve this in a way that our level became the Vosges mountains. And we had the idea of many of these maps of the Western front, so that the levels would be representative. Basically we took these things and expanded on that. But it wasn’t so much our intention at the beginning to go and say “ok, we’re going to do that, and that”… it sort of evolved, it wasn’t designed at the beginning. PtP: With map design, you mention the issue of “historical correctness”. When did you have to fully invest yourself into doing some historical research? You already had a passion for the topic itself, from a young age, but when did you have to start digging into the historical materials? You guys visited some of the sites, you probably had access to some maps – looking at the map design, there is some level of fidelity that’s in the game that people recognize when they play the game. 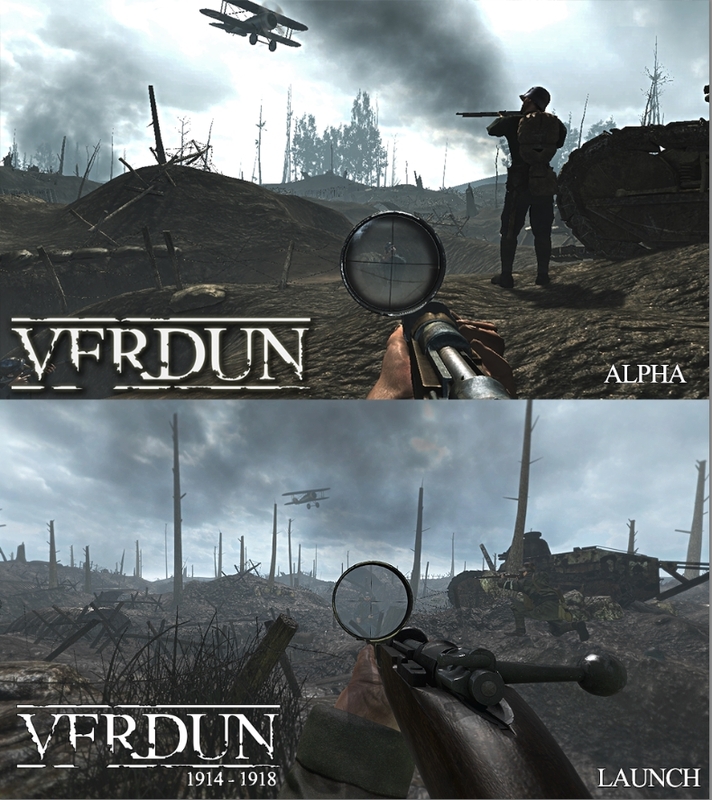 Also, one of the claims that you are making on the Verdun website is that you have an authentic World War 1 setting. So when did research become a serious part of your work, alongside designing the game? Jos: I think from day one, from day minus one! The idea was already there, we wanted to make a realistic version of World War 1. Because there are other titles which have something to do with World War 1, like time travel, and zombies, etc. But we wanted to take a realistic approach, in a similar fashion how the Red Orchestra series – and to some extent the earlier Call of Duty’s – went about it. I mean, the so-called research part was, I think, 20 to 30 percent of my occupation. Doing all the research on the uniforms, I had several books on this, like the Osprey series. All the details of the uniforms, how to make that correct, the weapons, etc. Luckily with the internet there’s lots of materials available. 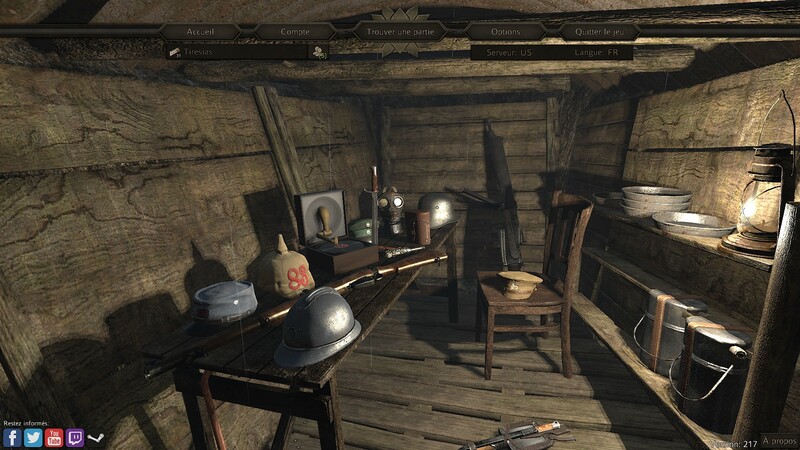 Lots of weapon collectors, weapon auctions that are available so that they can display their weapons, and we can take all the news from that. Obviously, in Holland we are in a position to go out and shoot all these weapons, or even own these weapons. But internet is a great resource for weapons. Uniforms come from books. And the stories that are written down, there’s tons of resources. We have somebody from Switzerland who is also an amateur historian, who likes to research things. He took some references from the French Defence Department, their journals, JMOs (Journal des marches et opérations), to see where certain units fought, if a certain weapon was used somewhere, and things like that where we had to confirm as well. We didn’t want to give everybody a submachine gun. We want to be accurate on that level as well. In terms of the levels, there’s a stereotypical image of World War 1 being… mud. Like Passchendaele basically, was all there was. However, what we wanted to do is break with this stereotypical image of the war and represent the entire Western front. It goes from the Swiss border to the Belgian coast, and each region has its own identity. So you have the Vosges mountains which is more of hilly, wooded area. Flanders obviously, flat and watery. We both wanted to have this diversity, to represent the different aspects of the war, to show it wasn’t all the same. And also this being a major asset into diversity in gameplay, not make it boring and all the same. PtP: Well, this goes back to my original question: World War 1, the video game? Everything I’ve read about the Great War seems to defy the idea of making a game out of it. 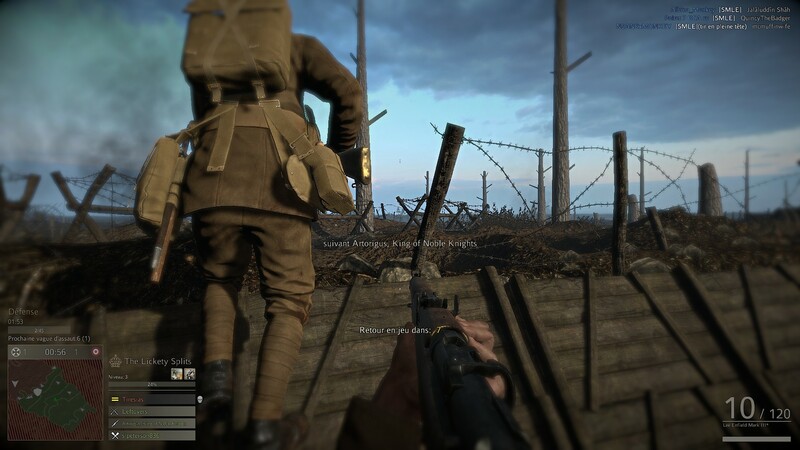 In my mind, the decision to do a realistic treatment of trench experience, in terms of infantry fighting – so many aspects of trench experience are not in the game, obviously – realism seems to be at the centre of the game concept. 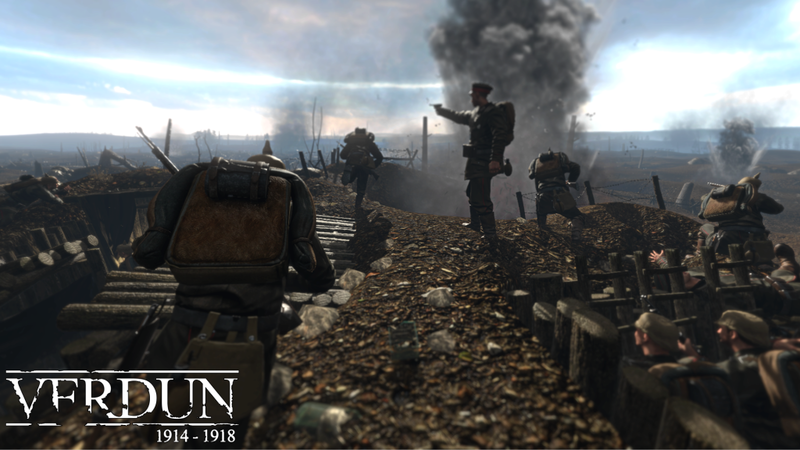 The Verdun home page emphasizes this vision in its list of core game features. “The gameplay is gritty, authentic weapons, realistic bullet physics, the gas attack, the claustrophobia of the gas mask” – all these elements seem really important to how you designed the game. What was your thinking about the realism of the game? Beyond the first-person viewpoint, how did you go about making the game “realistic”? Jos: Obviously we are constrained in the realism approach, because we want it to be a multiplayer experience. Multiplayer experience allows that there’s going to be people who want to troll. So we started out with a simple gameplay, which is more like a team deathmatch style, you could pretty much go anywhere you wanted. Now what happened is that it was turning out to be just another Call of Duty-esque experience. 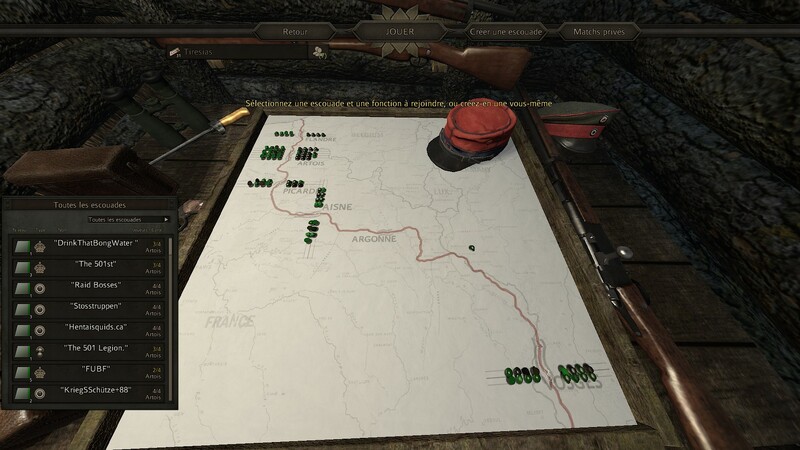 What we had to do was that we had to set it and [implement] phased attack and defence scenarios, and force that on the game, in order to make it more realistic and more believable as a World War 1 scenario. Obviously there’s also the rifle death match, which I guess, doesn’t really fit into this story. But gameplay-wise we really wanted to really take the trench warfare and, as much as possible, put it into a multiplayer experience. 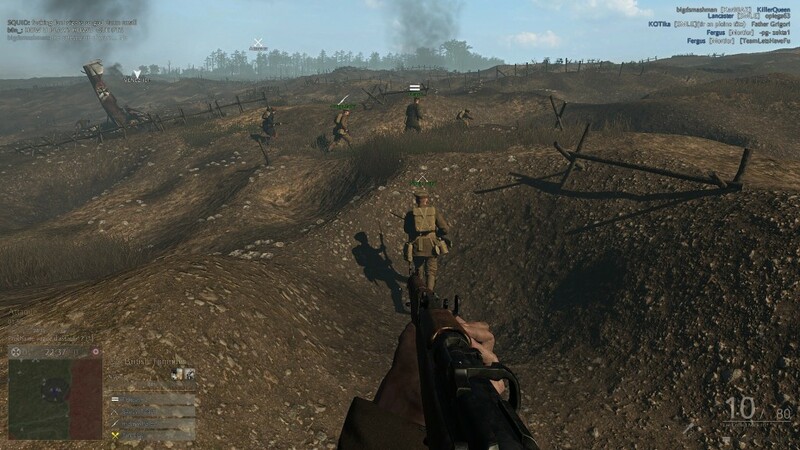 Obviously with single-player, you would be able to do much more – climb out of trenches with hundreds of soldiers, and things like that would be possible in single player. But multiplayer is sort of limiting in that aspect, if only for the amount of people you can support, there’s going to be people who camp, or just don’t know what to do, or rush out and be as aggressive as possible. And that doesn’t really fit with how dangerous it was in no man’s land. So we had to step in, and this gameplay evolved, we didn’t have this idea from the start. So this sort of evolved as we tested with the players. So that’s one aspect of the gameplay, and how that realistically it was approached. Then there also was the first person experience. That also grew. Gas was added pretty late into the development, in September 2014, after we added the Canadians into the game. With the gas, we pretty much had a feature stop. Then we went into polishing the game, and upgrading the graphics. But we definitely wanted to really immerse the player, we wanted to add some features. I think in the summer [of 2014], we definitely had some good feedback on how the game played, and how people experience it. And one thing was immersion, that was one thing we needed to work on. So we said, ok we’re going to have realistic bullet physics, which right up until then was not in the game. But, very subtle. In other games, it drops really quickly. But with these high-powered rifles, on the distances you play in Verdun, which is generally a maximum, on the biggest map, 200 meters between each trench, or 150 meters, which the drop is only a few centimetres. It’s very subtle, but it is there. Jos: Exactly, we wanted to bring this into the game, from a first person perspective, which is really powerful. [On the first implementation], we didn’t even have the effect you get when you put on the mask goes up – your eyes fuse into one, while looking through binoculars, you have the same thing. We didn’t have that, so it was just the mask in front of you with two goggles. Which is even more scary, but that doesn’t work because you’re representing the centre. It would be great for Oculus Rift or something, but… So we started out with that and sort of iteratively went about it, like we did with most of the game. So that’s how we sort of developed it in the game. PtP: So you’re gradually implementing features into the game as you’re seeing the reactions of players… What would you say was the first time where players said “Oh, this game is immersive, I feel like I’m there, I feel like I’m in the trenches”… What features of the game were they mentioning when they said that? Obviously it’s a game, but they may have been reacting to a part of the game where they say that they fell like they are “there”, the sense of presence you get from immersion. Jos: I think that, for me, and I think that really happened for others too, there was a moment where we implemented the feature where we spawn together, as a team. We initially had it that you had two seconds of spawn time. So you would be killed, and two seconds – or X amount of seconds later – you would spawn. And, that would happen to everybody, so you would spawn randomly, across the entire level, across the entire length of the line, at a random time. So you didn’t really have a cohesion. PtP: This brings us to the tactical elements of the game, which is one of the strong points of Verdun. 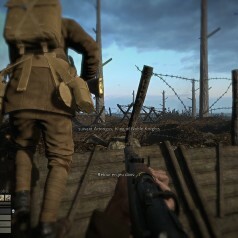 It makes sense to me, when you describe the evolution of the game, that you started to “impose” the front lines game mode, so that you push onto the player experience some sense of realism, around the struggle for the trenches. World War 1 is no “war of heroes”, at least I’ve never read any account of a single man running into no man’s land alone, except as an act of desperation, to get himself killed. Because of the subject matter – World War 1 – would you say there was a natural drive to make the game into a tactical shooter? Jos: Yeah, definitely. Like you said, inherently, the trench scenario sort of forces this. The squads as an idea even came before. This has to do with realism. Until we could build the levels in such a way that it is possible for people to go undetected from one side to the other. 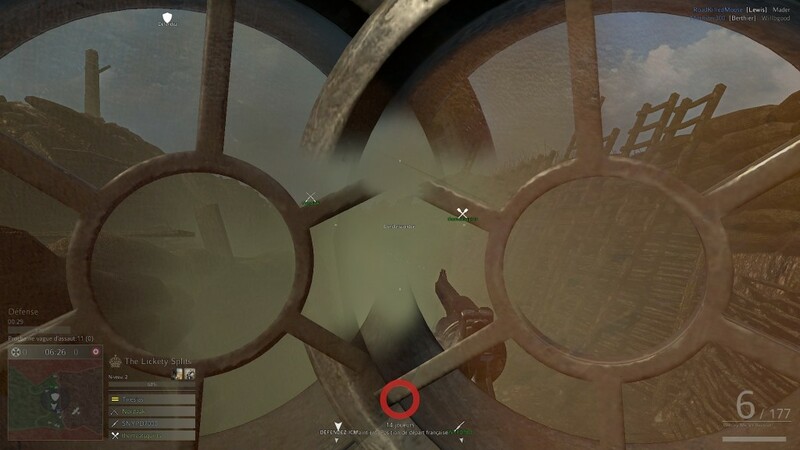 Just place around tank wreckage in such as way – you see this in Call of Duty as well – to make the level design as such that you can go pretty much undetected, or without too much harm to the other line. So that’s possible. But we wanted to make it realistic. So you have the Picardy level, which is completely open, flat… you can see for miles! You can literally see your enemy coming. That’s realistic. When you go into the field in France, you can see it. You dig a trench, and you can just see for miles as well. So that’s a certain realism which we wanted to have represented, which had the negative effect of people being shot from 150 meters. So in order to make this easier for people, the squads are necessary. You need to spawn with people, with your squad’s leader. You need to be able to call in artillery, and work together, to get to the [other side] alive. So we evolved features encouraging this, as time progressed. For example, getting points for people spawning with you the closer you get to the enemy line, things like that. So the squad idea itself, the levelling of the squads, was an idea that came before we were confronted with the lethalness of the no man’s land. The squads themselves are also interesting historically. With the squads, we wanted to represent the change in warfare, uniforms and equipment that took pace during the war, which was pretty dramatic. And the squad levelling gave us a way to upgrade the uniform for a bunch of people, in a same way that a unit was upgraded, receiving their first helmets, or upgraded equipment during the war – instead of people individually – like Call of Duty – levelling up their equipment. In our initial beta, we even had the weapons tied to this. So we would have people lose their weapons as soon as their teammates were on, because of squad level rules. Squad levelling is quite a complicated system, in the game. I think most people still don’t understand how squad levelling exactly works, but it’s something we really wanted to implement, to create this team cohesion: the more you play with each other, the more the points you get together, and the powerful your squad will be. Jos: Sure. When you play other games, you also have squad systems, like the Battlefield series, Rising Storm – not Call of Duty. We played those games as a team, me and the brothers [of M2H], and we found the experience lacking, in terms of persistency. You join the match, play as a squad, and then you leave, and then there’s nothing. We wanted this to persist. So when you join a match, and when you see this seasoned team, with their different equipment, or their steel helmets, you know that this is an experienced team, these people actually plays together. And it’s not their individual experience, but the fact that they played together on one server at the time. In my experience, this hasn’t been done before in any other game, so we tried to innovate on that aspect as well. And I think we are still scratching the surface of what we can do with this system, and people understandably coming from other titles, don’t really know, or aren’t really familiar with how this system works, because it’s quite complicated. But coming back to the historical aspect, again with the squads we wanted to touch as much of history as possible. So you would have these tiers, uniforms, and their equipment, and have different factions come in to the game through this system. So we were able to put in the Canadians, not on a dedicated Canadian level, but as part of this squad system. So people can actually play as part of these squads, and it allows easily to input more content, without having to make a dedicated scenario for such as historical context. We’re going to extend on this, making these scenarios part of our future content, as we announced on our roadmap. Obviously these squads and their levelling create a little band of units together, which is sort of a creative spin to the history. But we are going to make scenarios which are fitting to the [squads]. End of part 1. To read part 2, click here.